This is another great review from SwaddleDesigns. SwaddleDesigns® is introducing the Angry Birds Baby Collection! Angry Birds have found happiness with SwaddleDesigns baby products! We are honored that Rovio chose SwaddleDesigns to manufacture Angry Birds Baby items based on our high quality products. Angry Birds by Rovio is a phenomenally popular game. Angry Birds is the fastest growing brand in the world with over 600 million downloads. Boys, girls, men, women, grandmas and grandpas – all love playing Angry Birds. The game is entertaining to people of all ages, genders and geographies. Look what landed at SwaddleDesigns: Angry Birds Baby Bodysuits! Fun bodysuits featuring Red Bird from the popular Angry Birds game! The Ultimate Receiving Blanket® is a lightweight premium cotton flannel blanket – for moderate to cooler environmental temperatures. Angry Birds is just one of the many collections SwaddleDesigns offers. We have many new exciting new prints and a variety of blankets and other products for 2012! One winner will win their choice of the bodysuit and bird or marquisette blanket. I like the cute and wild swaddling blankets! 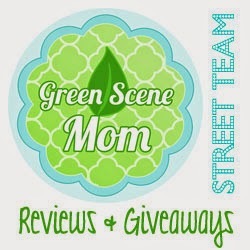 I entered the Red Barn Cloth Diaper giveaway. entered RED BARN CLOTH DIAPER. I love the True Blue cute & wild marquisette swaddling blankets. I like the Cashmere Baby Blanket - Lime with Mocha Trim.